One aspect of control we can exert on investments is to take measures to ensure that we keep more of what our clients earn through prudent tax-managed investing. So much focus is put on the pre-tax return, or the return clients see on a performance report, but for individual investors, the after-tax return is what really matters. Using the following techniques could positively impact the likelihood of achieving your long-term investment objectives by increasing the tax efficiency of your portfolio. Typically, capital gains taxes are triggered when an investment is sold at a gain. High turnover strategies that buy and sell positions at a rapid pace have the potential to cause greater erosion of after tax returns when compared to a lower turnover strategy that generates similar pre-tax results. For example, if a position is sold for a 5% gain after one year and 20% tax is assessed on the gain, the return is reduced to 4%. This impact is even greater for positions held for less than 12 months, as they would not qualify for the long-term capital gains rate of 20%, but rather would be taxed as ordinary income where the top tax bracket is currently 39.6%! This is an essential component of tax management because it enables investors to continue compounding their returns. Taxes are only due on an investment gain if the asset is sold. As long as you continue to hold the investment, the tax liability from investment gains is deferred. Although taxes may eventually be due when the investment is sold in the future, the deferral is like a zero-interest loan from the government. In some instances, taxes may never be due because the cost basis of assets in an estate are reset at the taxpayer’s death, and the unrealized gain is eliminated. Future capital gains taxes could also be avoided if the asset is donated to charity. Security prices often exhibit volatility over shorter time periods. In an effort to take advantage of these fluctuations, investors can sell securities where the price has fallen below its purchase price to generate a realized tax loss. This deferred tax asset may be used to offset realized capital gains in the future. Tax harvesting benefits can be generated with minimal impact on your portfolio’s exposure to the market. Take for example a position in IBM that has experienced a short-term fluctuation and is now priced below your cost basis. This position could be sold to realize a loss, and you can subsequently purchase an Exchange Traded Fund (“ETF”) that is representative of the broad market for technology stocks. This would help to ensure you remain invested in the market while generating a benefit from the realized loss in IBM. While many investors only harvest losses in December, this activity can also be valuable if it is done as part of your typical portfolio re-balancing strategy throughout the year. When a security is repurchased within 30 days of its sale, it is considered a wash sale. As a result, any loss realized in this transaction cannot be used to shelter gains for tax purposes. Instead, the loss is added to the basis of the new shares. Failing to avoid wash sales can erase the benefits of tax loss harvesting as previously described above. Although determining how much risk to take is the primary driver of asset allocation, considering tax implications is also extremely important. When an investor has both taxable and tax-deferred accounts, it’s important to strategically place assets in the appropriate account to maximize after-tax results. For example, some investors may consider a larger allocation of taxable bonds in their retirement account, which are taxed primarily at the ordinary income rate and consider keeping assets that can be actively tax managed, such as equities, in their taxable account. Tax management is an important but often underutilized part of a sound investment strategy. 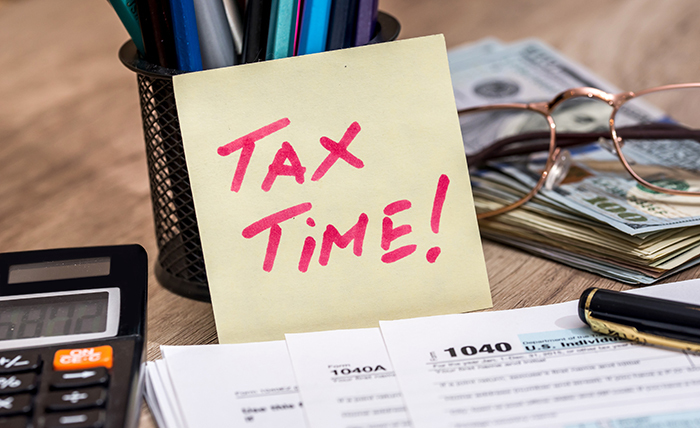 We can help you determine if any of the strategies above could help you reduce your tax burden and provide long-term benefits to your total portfolio.